After conquering the ice in Blades Of Glory and the basketball court in Semi-Pro, Will Ferrell is moving on to another sport: baseball. As reported by Splitsider, Ferrell and Funny Or Die are working with HBO and Major League Baseball on a new special that will (somehow) promote Stand Up To Cancer and other cancer-related charities. Ferrell isn’t just making some terrible movie where he and Jon Heder throw a ball around, though, he’s actually going to be playing for a handful of major league teams during their spring training games. The whole thing will get started tomorrow, March 12, and the plan is for Ferrell to take a turn playing each of the nine positions on a baseball field for various teams. That means he won’t just be playing the popular positions, like pitcher and left field, he’ll also be playing lesser-known positions like first base, catcher, second base, point guard, and right tackle. The teams Ferrell will be playing for are the Seattle Mariners, Oakland Athletics, Chicago Cubs, Los Angeles Angels Of Anaheim, Cincinnati Reds, Arizona Diamondbacks, San Francisco Giants, Chicago White Sox, Los Angeles Dodgers Of Los Angeles, and San Diego Padres. The special will air on HBO later this year, hopefully before everyone gets sick of baseball in the fall. Now, the only thing we don’t know is which Will Ferrell will be playing for these teams. 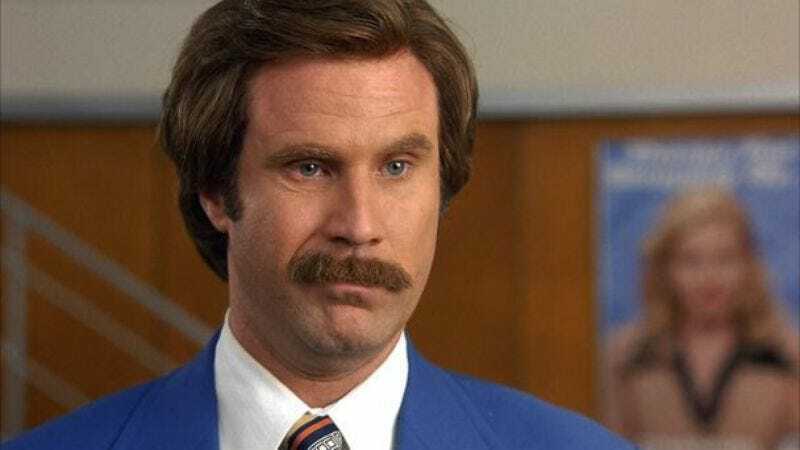 The Will Ferrell from Anchorman will probably play for the Giants, because they’re both fairly likable, and the Ferrell from Land Of The Lost will play for the Diamondbacks, because nobody can tell if anyone involved knows what they’re doing. Obviously, the Will Ferrell from Bewitched will play for the Cubs, because they’re both about trying to revive something that has been dead for decades, while the Will Ferrell of Step Brothers will play for the White Sox, because they’re both secretly the best. As for the rest, well, we can only come up with so many jokes that apply to both Will Ferrell movies and baseball teams. Like, The Campaign and the Padres? Does anybody even care about either of those?